This WharnPoon fixed blade from Lake County Knife & Tool is made from solid CPM-20CV stainless tool steel in a satin finish. It features a wharncliffe style blade with a recessed groove on the spine that creates the harpoon. The groove allows comfortable use in a point grip, or Filipino style grip. If you're looking for a new neck knife, the WharnPoon makes a solid addition to any EDC. 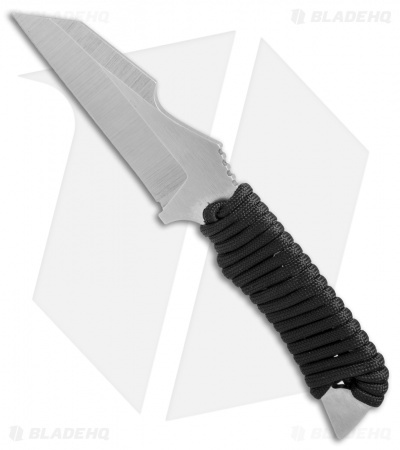 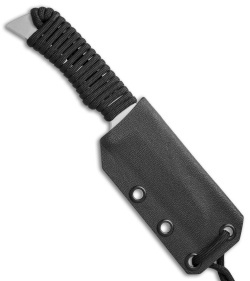 Includes a Kydex sheath with paracord for comfortable neck carry.